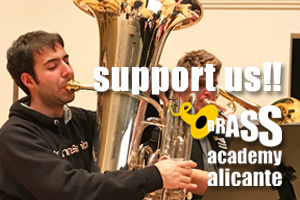 On March 13th and 14th, from 10 a.m. to 2 p.m. and from 4 a.m. to 6 p.m., celebrating our 10th Anniversary , we open the doors to all those who want to come and see the academy up close. Our secretary Julius Stein , Students and the professors will be at your disposal to show you the facilities and inform you about our different study modalities. 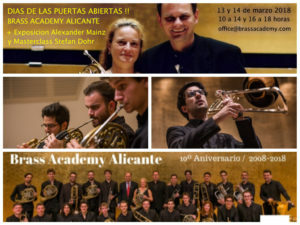 In addition, those days we have the masterclass by Stefan Dohr and the exhibition of French Horns by Alexander Mainz. So … you can not miss it !